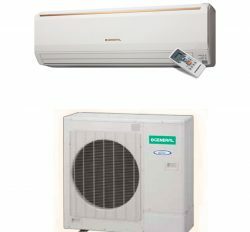 generalacpriceinbangladesh.com, dear client you can give your order in our website where you can see all kinds of general brand ac in Bangladesh Such as: TV, Refrigerator, Micro oven, AC, air cooler, Room heater, Iron, blender, pressure cooker, Gas Stove, Speaker, Home Theater, and additional Home appliance. These terms and conditions build by generalacpriceinbangladesh.com. You can buy or order any kind of product from here to agree to be bound by these terms and conditions. If you do not agree to be bound by these terms, you are not permitted to use or make purchases from generalacpriceinbangladesh.com. Our all legal terms and conditions for our entire valued client and it is easier from other company in Bangladesh. CSS or other company is not liable of my website content or information. 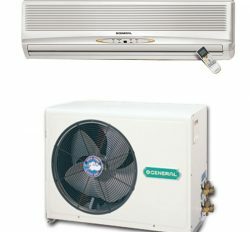 Generalacpriceinbangladesh.com provides all kinds of product information in website. So all liability of generalacpriceinbangladesh.com. This site contains some historical and updated new information. Our all content is fully protected by generalacpriceinbangladesh.com, we have no obligation to update any information on this site. We give to you a controlled, non-exclusive, non-transferable, revocable license to use the online store only for viewing, and requesting products quarry for yourself or of your company. As a owner of the Internet online store you may not rent, lease, grant a security interest. You have no right of entry power to edit, change, remove, include or exclude any content just viewing for all user .generalacpriceinbangladesh.com has own all lawful legislation authority so all right has to this site. Generalacpriceinbangladesh.com do not deserve that our use of online store will be uninterrupted, that mail or order requests will be delivered, or that the action of the Internet site will be error-free. In addition, the security mechanisms implemented by generalacpriceinbangladesh.com and its associates may have intrinsic confines, and you must determine yourself that this Internet site sufficiently meets your requirements. Generalacpriceinbangladesh.com and partners are not responsible for your data whether residing on our or your servers. You shall be responsible for the assured of this site with user friendly data communication. We deject your to distribution of your individual identity with anybody, several such sharing will be completely at your own hazard. Therefore, you should choose a sole and lively all email, phone and address to confirm your pit, after that we are legally responsible for all customer information security.Generalacpriceinbangladesh.com is online base site or product store gallery and its contents are provided “as is” and generalacpriceinbangladesh.com and our website is not represent any kind of liability around contents or product information. Generalacpriceinbangladesh.com and our Partners hereby specifically deny all warranties, either express or indirect, of merchantability, fitness for a meticulous reason, or non-infringement. This disclaimer by generalacpriceinbangladesh.com and our all client has no right to alter our content of this privacy only for use by generalacpriceinbangladesh.com all accord and conditions offer by this site. We are not liable to our any purchaser. These limitations shall stay alive any extinction of this accord. Generalacpriceinbangladesh.com is the proprietor of this website all label and logical belongings .Our all partners and supplier gives the Copyright laws and treaty defend this online store when we will provide the authority to right of entry in this online store, Through the use of this Internet Site no intellectual property privileges will transmit to any user. (2) a new one person who are not partner or author , he or she does allowed access into generalacpriceinbangladesh.com horribly harmful, irritating, profane, insulting, obscene, pornographic, pedophilic, defamatory, all-encompassing of another’s privacy, horrible, or ethnically, ethnically objectionable, reproachful, connecting or hopeful money laundering or gambling. (3) There is no deceptive information. (4) You have no right to share of our website link in sexual explicit group, page, sites or in blogs. This is the 100% forbidden by our terms and policy. (5) Burn or advocates harassment of one more being by our terms. (6) Code of our terms refers to the broadcast of “rubbish post” “sequence letters” or unwanted mass mailing or “spamming”. (7) You do not promote against the law activities or conduct that is rude, threatening, obscene, abusive or insulting. (8) Do not violate any third party’s rights like as: intellectual property & privacy right including disclose of person name, Phone number and address by publicity. (9) You do not promotes an unlawful or illegal copy of another person’s to past in another websites for promote. (10) Restricted our all page and image for copyright protection. (11) We are already provided the instructional information about against the law activities making or buying prohibited weapons. (11) You try to gain illegal access in our Website or into profiles, blogs, communities, account information, bulletins, friend request, or other areas of the Website or solicits passwords or personal identifying information for commercial or illicit purposes from other users. (13) Solicits creation a bet or engages in any laying a bet action which information our sole judgment & being unlawful. (14) One faithful user or valued client can use our site or can share in social websites. (15) You do not refers to any websites that is our only carefulness, contains substance that is inappropriate for the Website or any other website, this is the alongside of sprit of our websites terms & conditions. (16) Obliteration minors in any case. (17) Intrudes any copyright, trademark, or other proprietary rights or third party’s trade secrets or rights of publicity or privacy or shall not be fake or engage the sale of fake or stolen products. (18) You do not infringe to our all lawful legislation of generalacpriceinbangladesh.com. (19) Does not use the misleading or wrong information to use this website, so it is the unlawful for you. (20) Impersonate a new person. (21) Hold any software, viruses and spaware or any other harmful computer code, files or programs planned to break off, obliterate or limit the functionality of any computer reserve; or contains any Trojan horses, worms, time bombs, cancel bots, Easter eggs or other computer programming routines that may damage, destructively interfere with, reduce worth of, furtively intercept or confiscate any system, data or individual information. (22) Threatens the any accord, honesty, protection, safety or dominion of Bangladesh, friendly relations with foreign states, or public order or causes provocation to the charge of any cognizable offence or prevents inquiry of any offence or is insolent any other state. (B.1) We expect that you do not use any page-scrape, robot, spider or other automatic tool, program, software, algorithm or methodology, or any similar or equivalent manual process, to access, acquire, copy or monitor any portion of our website or any Content, or in any way reproduce or circumvent the navigational structure or presentation of the Website or any Content, to obtain or attempt to obtain any materials, documents or information through any means not purposely made available through the website. We reserve our right to saloon any such activity. (B.2) We expect you do not take attempt to gain unauthorized access to our website features, systems or with networks connected to the our website to any server, computer, network, or to any of the services offered on or through the Website, by hacking, password “removal” or any other unlawful means. (B.3) You have no right to track our websites for internal information by the various types of Tools or software. This is the totally unlawful for the user. (B.4) We expect from every user or competitor in online abusive or irritating or unethical comment in our content. (B.5) You agree not to use any device, software or routine to interfere or attempt to interfere with the proper working of the website or want to know our transaction by hacking our websites password. (B.7) You do not share our authentic information about Informational Technology act Govern by Bangladesh Telecommunication Regulatory Commission and sales TAX or our every shipment income tax. We are the more authentic online business company in Bangladesh. We have all legal & legislation papers and documents. (B.9) We expect that your correspondence or business dealings must be with our reliable company person who are liable for that otherwise your payment, company response, product service warranty etc for we shall not be responsible or liable for any loss or damage of any kind of incurred as the result of any such dealings or as the result of the presence of such advertisers on the website. (B.10) It is possible those unauthorized users include hackers may post or transmit offensive or obscene materials on the Website, as a best user you can inform us at that time you do not share this post in other web sites or blog We does not approve of such unauthorized uses, but by using the Website You acknowledge and agree that We are not responsible for the use of any personal information that You publicly disclose or share with others on the Website. (B.10) Generalacpriceinbangladesh.com shall have all the rights to take necessary action and claim damages that those are liable for these illegal activities when it will be proved after occurred this act. (B.11) Our all content of this Site including, without limitation, documents, text, design, graphics, logos, icons, images, audio clips, downloads, interfaces, code, software all things material is our and unique. You cannot publish it in other website because it is unlawful or harmful for our. (B.13) You can easily download and copy our text for use it other website but it is totally unethical for you. We have many products and dealers in all over Bangladesh. 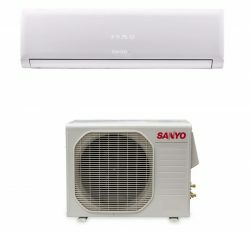 When we are the seller of any product then aircon.com.bd is warrant of this item. On the other hand, when sell any product by our dealer for that generalacpriceinbangladesh.com is not liable. So it is the very important for buyer or seller. Products and services are available on this site are for consumer use only concerns only those products that distributed in the Bangladesh. Our mother Company is AB Electronics we are the affiliates of all kinds of product in all over countries. 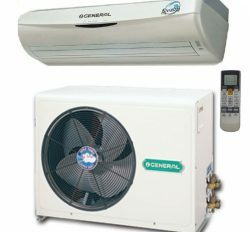 Product and service managed by generalacpriceinbangladesh.com for consumer use only, not for resale and use only in the Bangladesh. Each and every one group products are imported from Thailand, Malaysia, Singapore, Japan and India. Product sold by generalacpriceinbangladesh.com is lawfully responsible for warrant product and service. When you shall buy any product from our dealer then we are not responsible for this product and service. Dealer will also handle all facts. When we see that an order placed in our website then we clarify it immediately, After this system we shipped this product at customer address. Such shipment shall constitute only incomplete receipt of your order as to those or these particular items. If all ordered items are shipped, such shipment shall constitute full acceptance of your order. In spite of anything to the opposing set onward here in, generalacpriceinbangladesh.com may in its sole discretion, refuse all or any part of your order. Your placement of an order constitute consent to email notifications concerning your order. If generalacpriceinbangladesh.com declines your order, we will try to notify you via the e-mail address or mobile phone, you have provided with your order. Under no circumstances will generalacpriceinbangladesh.com be liable for any breakdown to inform you of our negative response of all or any part of your order. 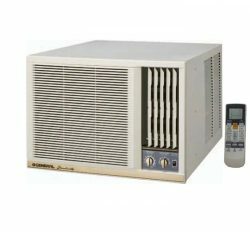 Any kinds of electronics products are available in our online generalacpriceinbangladesh.com we have some payment terms like as cash on delivery, EMI system, we have also after delivery and before delivery system. All clients have to pay amount with TAKA .We only accept this money process because we are selling in Bangladesh. Our selling system is wholesale & Retail. We accept credit card or any visa card for payment but all applicable transaction charges have to pay by client. We have some types of selling system wholesale or retail. 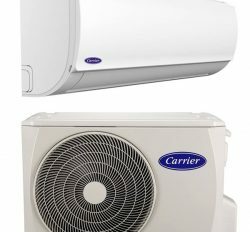 When we are giving any kind of product to retail then we take the total responsibility of product with shipping and installation. On the other hand, we have no responsibility about wholesale product. Liable by customer. After placed your order, our sales team contact with you for reconfirm of an order. When he or she positively response about her or him placed order to buy this product then we delivery this product to her flexible time with her address. Sometimes after giving order client do not positive response then we are canceled this order. If you receive a box that shows signs of physical damage, the delivery should be refused. In the event of concealed damage of this order because we think this is our fault or service defaulter. Our all sold product delivered after cash on delivery or payment negotiates. 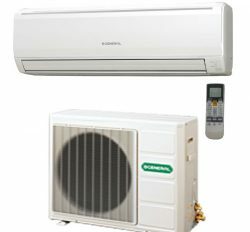 We can get return our product which is shows some problem after delivery or in the installation time. We can exchange it with other same product. On the other hand, we have product warranty system and replacement warranty system. We have some policy for sold product return to the following conditions: (i) product must be returned with all original packaging and accessories (ii) model number on box must match with Brand and serial number on product (iii) original order number must be provided (iv) generalacpriceinbangladesh.com will only bear the cost of return freight for defective products, in the case of all other returns the cost of go back shipment will be deducted from repayment sum. The trademark of “generalacpriceinbangladesh.com” and any trademarks, service marks, other product names, service names or logos of “generalacpriceinbangladesh.com” used, quoted on “generalacpriceinbangladesh.com” direct are trademarks, registered trademarks, or service marks of “generalacpriceinbangladesh.com”. 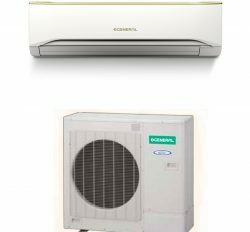 Other product names, service names, logos names used on “generalacpriceinbangladesh.com” direct are the property of their respective holders and may be protected as their trademarks, registered trademarks, service marks. These materials may not be copied, modified, published, transmitted, distributed or otherwise made available or exploited without our express written permission. Generalacpriceinbangladesh.com included contain with links to other third-party websites links by this linked come visitor in our pages. Liked websites (one to another) does not control by generalacpriceinbangladesh.com others websites information and content for that not liable by generalacpriceinbangladesh.com. We are acknowledging only our content and links. All products are listed with reasonable price without Govt. Taxes and VAT. All buyers have to pay their sales tax and service tax. All such taxes and fees shall be paid by buyer. Our all product description and specification is right, accurate and more authentic. We are liable for that as code of producer. When you will see any offensive or illegal mater which is harmful for our website then you can inform to us immediately. Gulshan-2, circle- Thaher Tower 1st floor.